New Zealand is without a national memorial to all the horses (or other animals) sent to war from New Zealand. In Australia, there are several memorials, one specifically to their warhorses in Canberra (shown), and of course the Anzac Memorial to the Mounted regiments is modelled on Bess (Zelma). 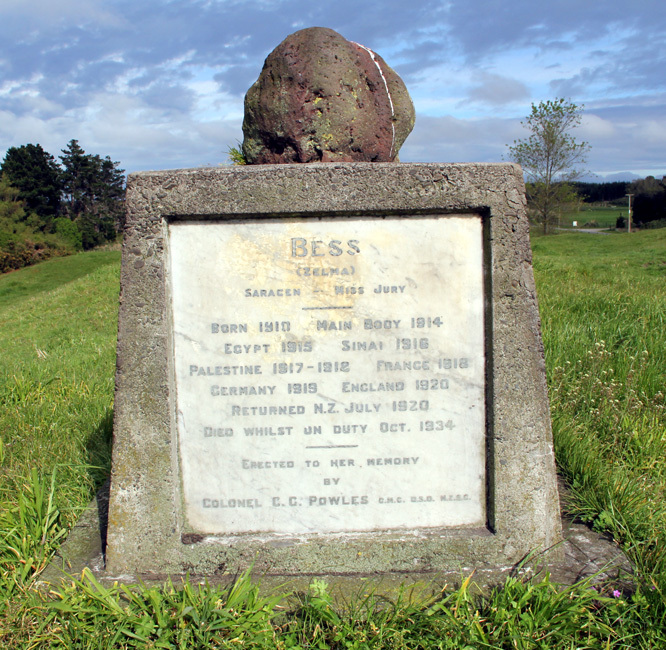 In New Zealand we only have memorials to individual horses, such as the cairn erected to Bess (who was buried where she died ), or to the horses and men from a specific region such as the Birch Hill memorial. 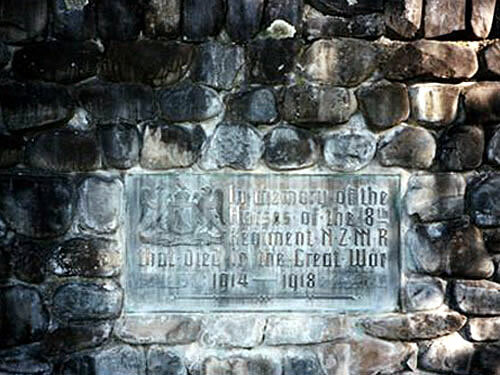 A plaque on the Birch Hill Station war memorial. On ANZAC Parade in Canberra stands the second copy of the "ANZAC Memorial" which features "Bess".